Just to recap, The Phi and I have challenged ourselves to read 1 chapter book a month together for 2013. 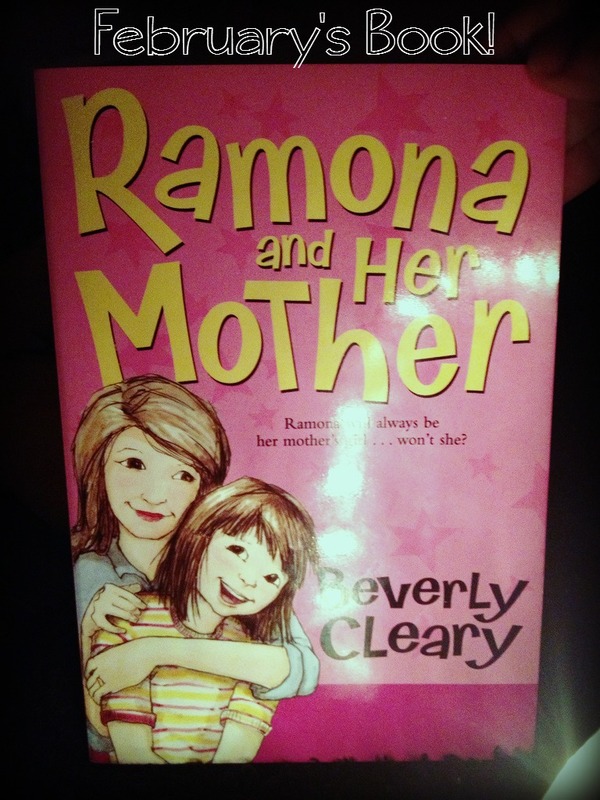 For February The Phi picked another Ramona book (she loves them). "I loved this book. 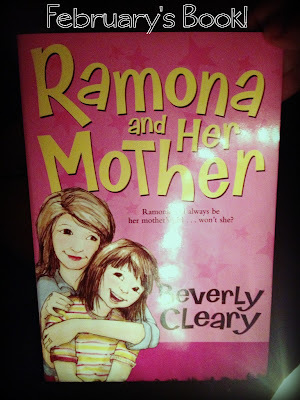 It was about Ramona and how much she loves her Mom. She wants to be her "Mother's Girl" and in the end she finds out that she is." You just can't go wrong with Ramona books. Phi is at the perfect age for these books. Her and Ramona are the same age, in the same grade and even have the same haircut. Phi really relates to her. 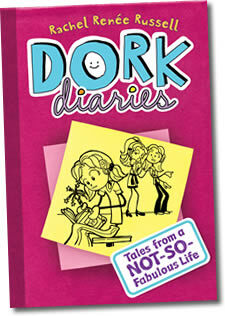 I think she could relate to this book too. Ramona is competing with her sister for her Mom's attention and Phi is in the same boat. I loved the message of this book and I hope Phi realizes that she will always be my girl too.